For football fans, the Super Bowl is a major holiday, and New England has much to celebrate. In Super Bowl LIII, the New England Patriots defeated the Los Angeles Rams 13-3 at the Mercedes-Benz Stadium on Feb. 3. My dad and I, Boston sports fanatics, enjoyed watching the big game at home, wearing our blue and white gear, sitting on our comfy couch and eating sliders, chips and guacamole. We get fired up for the the competition, the halftime show and the commercials. Since my mom doesn’t watch the game with us, decorum goes out the window, and hooting and hollering is part of the fun. True to form, Patriots’ Quarterback Tom Brady delivered his famous fourth quarter comeback, leading the Patriots down the field for the Super Bowl win. He hit Rob Gronkowski for a 29 yard pass completion to the Rams 2-yard line, and then handed the ball off to Sony Michel for the only touchdown of the game. This made the score 10-3 with 7 minutes left in the game. The Rams did not give up without a fight. Rams’ Quarterback Jared Goff led his team down the field to the Patriots’ 27 yard line with just over four minutes to go in the game. Not surprisingly, Patriots’ Head Coach Bill Belichick dialed up a defensive scheme to stop the other team. He called a safety blitz for the first time all game. His strategic move forced Goff to make an off balance throw that Stephon Gilmore intercepted, icing the game for the Pats. 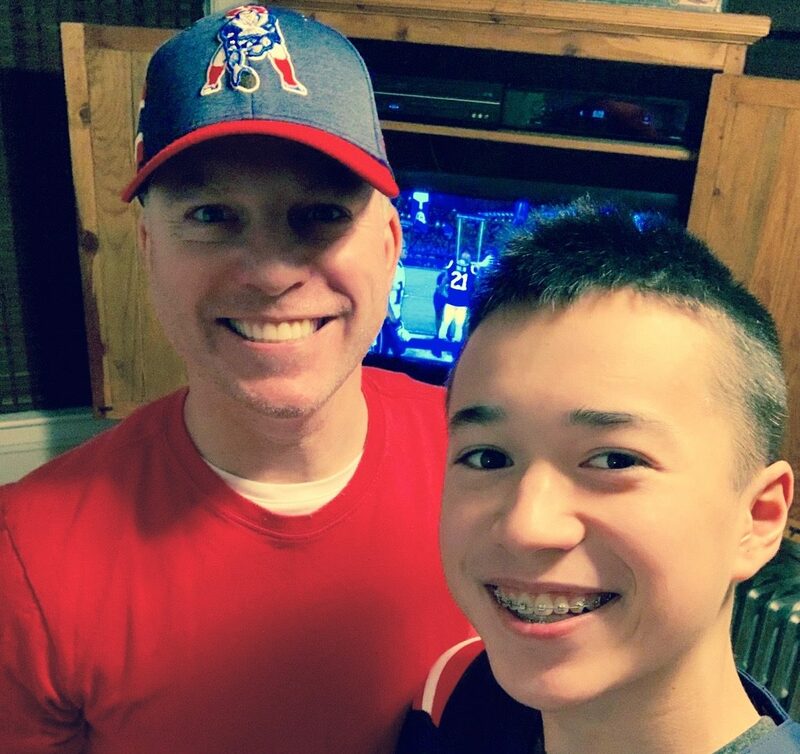 My dad and I watched with pride as the Patriots raised the Lombardi Trophy, their sixth one since 2001. During this eighteen-season run, the two constants have been Belichick and Brady. Some duos can’t be beat. Awesome article, Maxwell! It’s always so cool to see fellow Pats fans cheering our team on!